The online marketing world has become increasingly populated and over-competitive. The bottom-line is that it has become harder to succeed online without investing appropriate time, knowledge and money into it. The good news is that there are companies like AG Web Solutions you can refer to for handling all your online marketing needs. So you set up a website, an online shop, a Facebook and Google + account….then what? Well it’s a good start but there are a whole lot of things which need to be done in order to start positioning your brand online, gaining traffic and ultimately start converting that traffic into sales. There are a lot of online marketing strategies and techniques which AG Web Solutions can help you with in order to push your business towards online success. 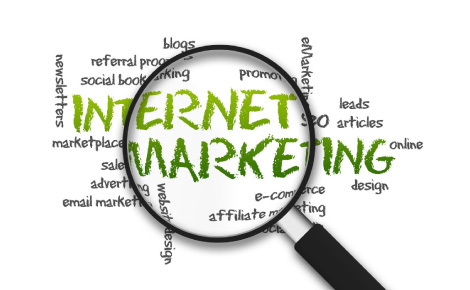 Which Online Marketing Methods can help? One way of reaching a lot of online exposure is by showing up in the first results of a search engine query for a popular key-phrase in your business area. For example, let’s say your business is about sports shoes and you are ranking in the first page results of Google for the key-phrase “Converse Trainers” which has a global search volume of around 40,500 monthly searches. This means that your site would be getting a decent amount of traffic just from this key-phrase alone. This type of traffic is called organic traffic. Search engine optimization, is the art and science of making a website increase its organic traffic by making it rank high in search engine results for popular keywords in its business area. This entails a series of other techniques for optimizing the content of your website and how that content is linked to other content around the web. At AG Web Solutions we offer SEO services to our clients as part of our online marketing solutions. Another way of increasing traffic from search engines is by purchasing a position within the search results. This is referred to as paid search. Search engines allow you to do this through pay-per click campaigns where ad campaigns are setup and keywords are bid for according to cost per click. Once again, such campaign creation and management can be handled by us in order to give you the maximum results for your online marketing campaigns. Other services include Social Media marketing, where we will take care of creating, managing and increasing your social media presence. Social Media is increasingly an important means through which brands can engage with their customers and encourage people to talk about it on their social networks.